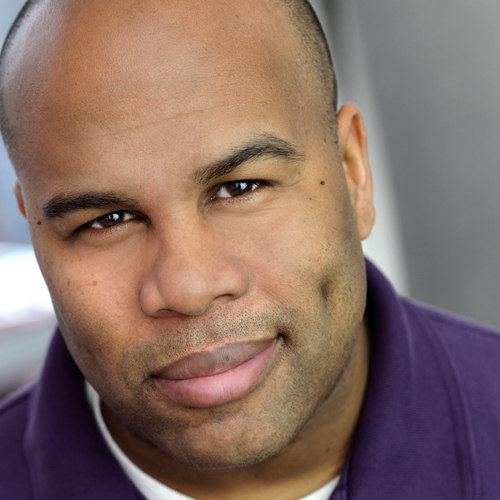 Kevin R. Free has appeared on national television in commercials and on NBC’s Law & Order and Law & Order: SVU. New York audiences have seen Mr. Free Off-Broadway, creating the role of Memphis in From My Hometown both for Amas Musicals and at the Gramercy Theatre, for which he was nominated for an Audelco Award. He was also seen Off-Broadway at the York Theatre in Taking A Chance On Love, and as Bubber Brown in The New Federal Theatre’s acclaimed The Conjure Man Dies. He is a writer/performer/director in the New York Neo-Futurists, writing and performing regularly in Too Much Light Makes The Baby Go Blind. Once a regular contributor the NPR show “News & Notes, “ Mr. Free’s voice can now be heard on the World Premiere Recording of the musical Avenue X and numerous audio books, including the Pulitzer Prize-winning The Known World, for which he won an AudioFile Magazine Earphones Award. As director, he assisted Martha Banta with Barbara’s Blue Kitchen off-Broadway. Though he has been an actor, singer, writer, and director in NYC since 1995, he is proudest of his accomplishments as a teaching artist. He has shared his passion for Theatre-making for organizations like Symphony Space, QIIQ, The Hamptons Shakespeare Festival, Brooklyn Academy of Music, and Roundabout Theatre Company. He created his own company, Working Actor For Hire in 2005, to create and develop programming for Drama Clubs, and directed or vocal coached numerous school productions in NYC, including Dreamgirls, A Year with Frog & Toad, and The Big Bad Musical (his favorite). Kevin is now the Artistic Director of Educational Programming at Queens Theatre in the Park, overseeing their ever-expanding CentreStage Program, in which over 500 elementary and middle school children write, edit, rehearse, and perform their own plays.